The Manduca XT is AMAZING! 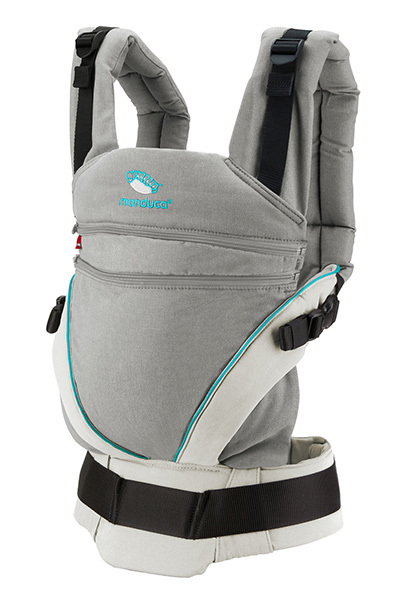 *The seat adjusts from 16-50cms, meaning it fits from the first few weeks, well into toddlerhood (3.5-20kg/7-44lbs). *The panel is soft & flexible, with soft padding at the edges, to protect little legs. *The height adjusts in three steps, with the included extra panel providing the middle size setting. *Sleephood can be folded away, rolled & used as a headrest, or extended for use as a sleephood. *Straps can be used in straight strap (rucksack) position, or crossed behind wearer. *Front Carry, Side Carry & Back Carry. The instructions for the Manduca XT can be found here.